KDM Meridian's professional staff and industry partners are ready to provide any of the following services to assist you with your next project. When buying or refinancing properties, a lender or buyer may require that you purchase an ALTA/NSPS survey as part of the title insurance. Commonly referred to as just an "ALTA Survey" it is a surveying standard jointly accepted by the American Land Title Association and the National Society of Professional Surveyors that incorporates elements of a boundary survey, mortgage survey, and topographic survey. The minimum standard requirements including a table of optional items that can be requested are available here. A properly completed ALTA survey is one of the most complex and potentially litigious surveys requested, sometimes taking weeks to complete and with a cost corresponding to the assumed liabilities. If you find that you are using a portion of your neighbor’s property or that they are using a portion of yours, you may want to have your property lines adjusted. The local agency (city or county) requires that you file an application for a lot line adjustment. We will write a legal description and provide a map showing the existing and proposed property lines, along with any buildings, major features such as sport courts or driveways, and all significant features in the area affected by the adjustment. Under certain circumstances the staking of new improvements based on this adjustment would require a record of survey also to be recorded. Certain topographic surveys are of a scope and size that allow aerial mapping technology to be the best choice. Depending on the size of the project and intended use of the data, the extra time spent in setting aerial targets, collecting stereo-photography, and photogrammetric compilation can pay for itself several times over compared to conventional topographic surveying. Our staff has extensive experience with several local photogrammetric firms that we will partner with to provide your mapping. Additional deliverable products include ortho-corrected photography and LIDAR data. All maps that are required to be recorded with the County Clerk need to be checked for technical accuracy. Many local agencies do not have in-house Map Check capabilities required to fulfill this task. KDM Meridian’s professional staff has extensive experience checking Lot Line Adjustments, Lot Consolidations, Tract Maps, and Parcel Maps for local agencies. KDM implements a rigorous, effective, and timely checking process which ensures that each map is technically accurate and compliant with local laws. Practically all new construction of significant size or requiring accurate placement starts with the setting of stakes by a land surveyor. These stakes can control the location of fences, structures, streets or any other new construction. Using the maps prepared by another professional such as a geologist, architect, or engineer the necessary points are staked and a map and "cut-sheet" delivered to the contractor showing the points and their relation to the proposed construction. In some cases a boundary survey will need to be performed before stakes can be set to determine the location of existing boundaries, setbacks, and easements. 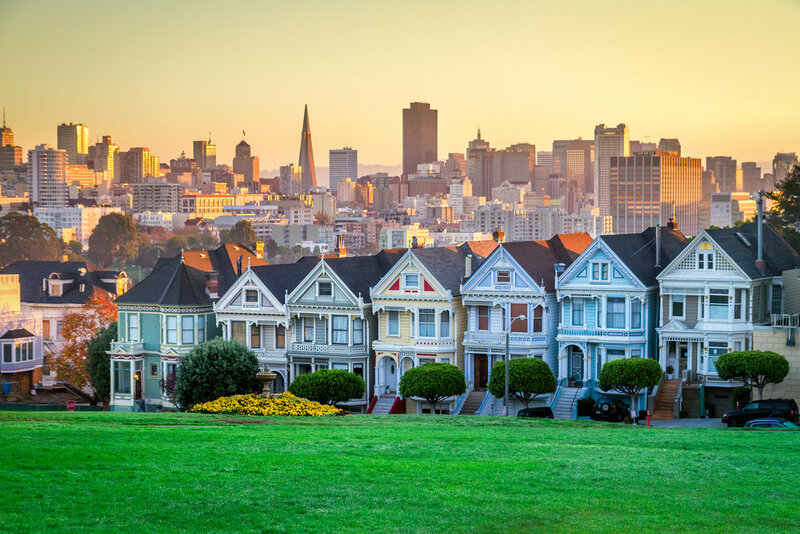 In California the nature of terrain, soil, and property value has created many situations requiring geotechnical investigation. Often, a project’s geotechnical consultant may request monitoring, particularly in the case of landslides. KDM Meridian’s professional staff have extensive experience in preparation of topographic surveys, as-builts, and monitoring reports. Our survey crew will set points on your property and record their locations and elevations. Additional site visits will allow us to measure any perceptible changes in topography. At intermediate points or at the end of the monitoring period, KDM will provide a map showing the points we set, any relevant site features, and a record of the changes to the site topography over time. For the purposes of private or public design, the initial step is to acquire a topographic survey of the subject site or existing conditions (such as a street or park). Our survey crews have performed thousands of topographic surveys collectively and there isn't much they haven't become experts at collecting and representing in drafted form using a CAD system. Our fully automated field systems are integrated with complementing automation in the office to allow our staff to step back from the line and symbol generation that is automatically generated and concentrate on the big picture, the collection of specific data to make your design better and future construction smoother. KDM Meridian’s crews have extensive experience performing well surveys for the environmental sector. We have prepared hundreds of surveys and deliverables to Geotracker standards. Our office staff will even upload (submit) your Geo_XY and Z files if requested. Bathymetric survey, also known as hydrographic topography, is carried out to map the topography and features of the bed of an ocean, lake, river or other body of water. A subset of topography, which is the study and recordation of the three-dimensional shape of terrain, bathymetry focuses on elevations of land under a body of water as measured from the water’s surface. Bathymetric surveys provide information about the unique shape and features of submerged terrain, which can be used to develop detailed maps of the riverbed, lakebed, or seafloor. The tools utilized in this work include real-time GPS location and precise sonar, taken from stable surface platforms such as boats, for depth measurements and locations. The characteristics of the terrain under a body of water can be represented like standard topographic mapping, with contour elevations and selected depths. 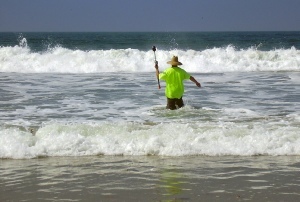 California's coastline offers the unique and challenging experience to survey the points where the ocean literally meets the shore. The mean high water line and other tidal datum realizations on the existing shore often represent the boundary between private, state, and federal lands. KDM Meridian has prepared and submitted many surveys to the State Lands Commission as required during beach nourishment projects. A boundary survey is the most common type of need that initiates the public's contact with a land surveyor. 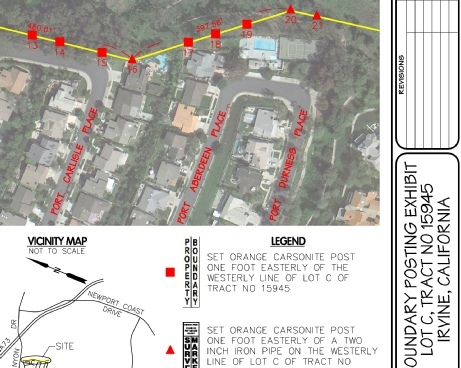 The needs for a boundary survey can be varied and include property line disputes, fence locations, construction, and litigation. Each property and the conditions requiring a boundary survey are unique. The existence of property monumentation (corners) and condition of existing survey records will greatly influence the cost and time to complete the survey. In some cases additional professionals such as title company officers and attorneys will be a part of the process. Following the performance of the boundary survey additional maps and documents such as corner records or records of survey may be required to be filed or recorded by law. Agencies and/or contractors performing construction have a statutory responsibility under Section 8771 of the Business and Professions Code to provide for the perpetuation of survey monumentation. This perpetuation must be performed by a licensed land surveyor and either a corner record or record of survey filed with the county surveyor. Whether during construction or as part of a design survey, KDM Meridian has filed corner records for thousands of monuments perpetuated with newly set monumentation after construction was completed. If your project may disturb existing monuments or you witnessed the loss of monuments by the construction of others, give us a call before the expense of perpetuation grows or more monuments controlling your boundaries are lost. GIS, or Geographic Information Systems, are designed to capture, store, manipulate, analyze, manage, and present all types of geographically referenced data. In the simplest terms, GIS is the merging of cartography, statistical analysis, and database technology. Often, those unfamiliar with the industry believe that GIS produces pretty - but inaccurate - maps. With the involvement of our data collection and measurement experts, we can show you that this is a misconception. Whether the data collection and creation of GIS layers for your database is completed by aerial, conventional, GPS, or GIS mapping techniques, we will discuss with you the cost-benefit of each, and prepare data “fit for a purpose.” We offer a complete range of GIS services, including consulting, data collection, base mapping, data conversion, and geodatabase design....perfect for both small-scale visualization and planning exercises and for coordination with agency-wide CMMS or asset management systems. This service is provided under the supervision of a registered civil engineer with extensive public works experience. Utility signal locations are measured for inclusion on mapping under the supervision of licensed land surveyors. 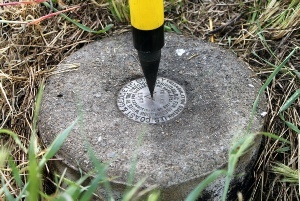 The locator completes the field designation of underground utilities using a variety of techniques, including radio signals, based on field conditions. Ferrous utilities are located both horizontally and vertically and designated per ASCE Standard Guideline 38-02 for for the Collection and Depiction of Existing Subsurface Utility Data in CAD. The surveyor collects the field data electronically, and drafts a drawing of the project area depicting the locations of the utilities. The most common need for the preparation of a legal description is to grant or have granted an easement. An easement allows a property owner to grant the right to another party to use a portion of land without giving up ownership. An easement can be granted for landscaping, ingress and egress, or any other purpose that suits the interests of both parties involved. We provide a legal descriptions of the purpose and location of the easements or other various requirements such as assessment districts, leases, and lot mergers.